A beautifully crafted front entry door can add a significant amount of character and curb appeal to your home. Whether you desire a traditional look or prefer a more contemporary door for your home in Indianapolis, Muncie, Kokomo, or surrounding communities, the home improvement professionals at L.J. 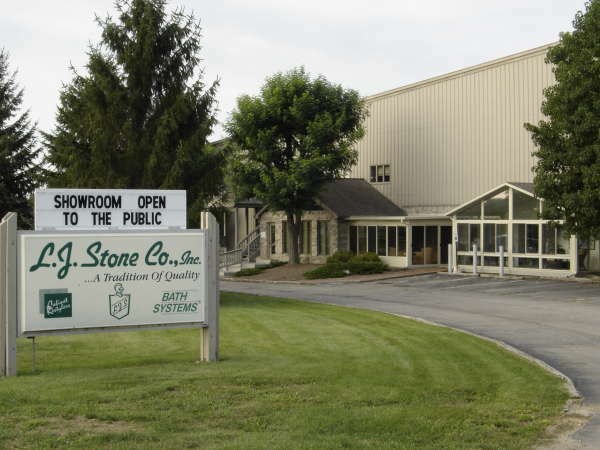 Stone Company, Inc. can help you find the exact door to best meet your needs and the style of your home. When choosing a front entry door, it is important to consider several factors, including style, durability, and security features, among others. Partnering with L.J. Stone for the selection and installation of your new entry door means that you will be able to choose from a wide variety of exceptional exterior entry doors. 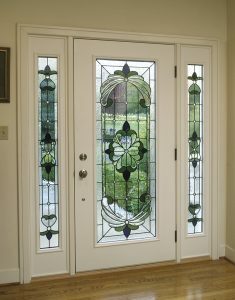 Our doors come in a number of designs, styles, finishes, colors, and even glass inserts, so you can select the door that best matches your home’s exterior. When it comes to durability, we offer both steel and fiberglass options that won’t crack, shrink, or warp. You’ll also have the option of choosing a reinforced steel door, heavy duty locks, and security hinges to increase your home’s safety. Homeowners in Noblesville, Anderson, Marion, Richmond, and surrounding communities depend on L.J. Stone for our extensive front entry door selection and superior installation. We can also help you complete a number additional home improvement projects, including installing vinyl siding, replacement windows, energy barrier insulation, sunrooms, and much more. Contact L.J. Stone today for more information about all of our exceptional products, installation, and services.